Although we are using the term dress pants, this guide can be applied to chinos, jeans and any other kind of trousers you can think of. Start by placing your pants on a flat surface. Fold the pants along the crease. In case you are folding chinos, jeans or any other pants without a crease, fold them in half on the fly so that one leg lies flat on the other one. Fold from the bottom about one-third up. Fold that part over again to the top. Place it in your travel bag. For pants, we highly recommend folding in thirds and not quarters, to prevent adding extra fold and creases on your pant. Lay the shirt on a flat surface and button it up or at least button the top, middle and bottom buttons. Flip it over with the sleeves stretched out to the sides. Take one sleeve and fold it over the back side of the shirt. Make sure to keep the straight line where it is folded. Fold the sleeve in the middle so that the cuff meets the collar. Repeat step 3 and 4 for the other sleeve. Carefully fold one side of the shirt about one-third of the way over lengthwise. Fold the bottom of the shirt one-third of the way up. Fold it a second time up to the top. Place the jacket on a flat surface with the back part facing up. Fold the shoulder side over and turn it inside out. Fold the entire side over so that the whole panel lays flat. Put it in your suitcase To lessen the number of wrinkles, consider placing it in a plastic bag after folding it. Lay the dress down on a flat surface. Fold it into two so that the shoulders and sides of the dress lay side by side. Fold the bottom third of the bottom part of the skirt towards the middle and repeat for the other side. Now fold the skirt part of your skirt towards the middle and then fold it a second time. Hold the skirt by the waist and fold it back on itself. Find the seams on the sides of your skirt and align them side by side. Lay it on a flat surface. Fold the bottom part towards the middle and then fold it a second time towards the top. 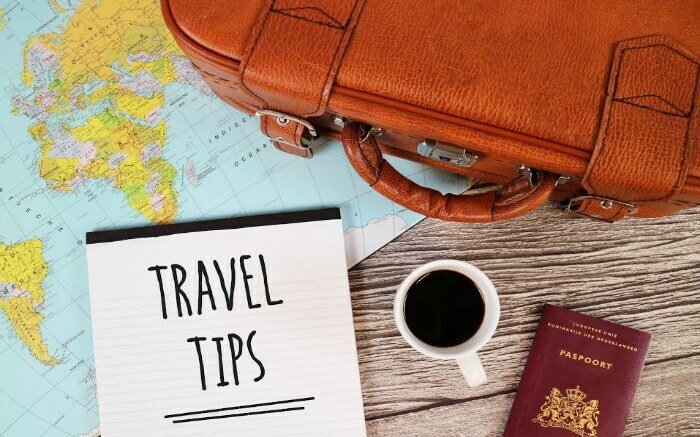 Alternatively, we highly recommend rolling clothes for travel as it dramatically reduces wrinkles and it gets you even more space in your luggage. 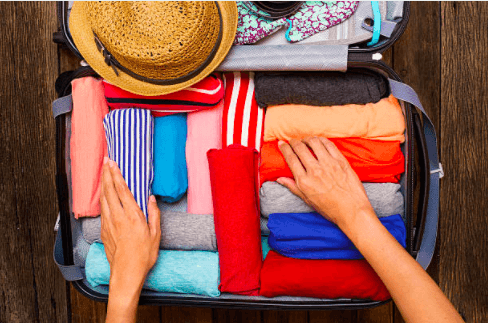 If you think about it, folded clothes cover more surface area in your travel bag compared to rolling, which essentially compresses the clothes, making them easier to stack and pack into a tiny section of your bag. Just make sure to smoothen the clothes out as you roll them up. 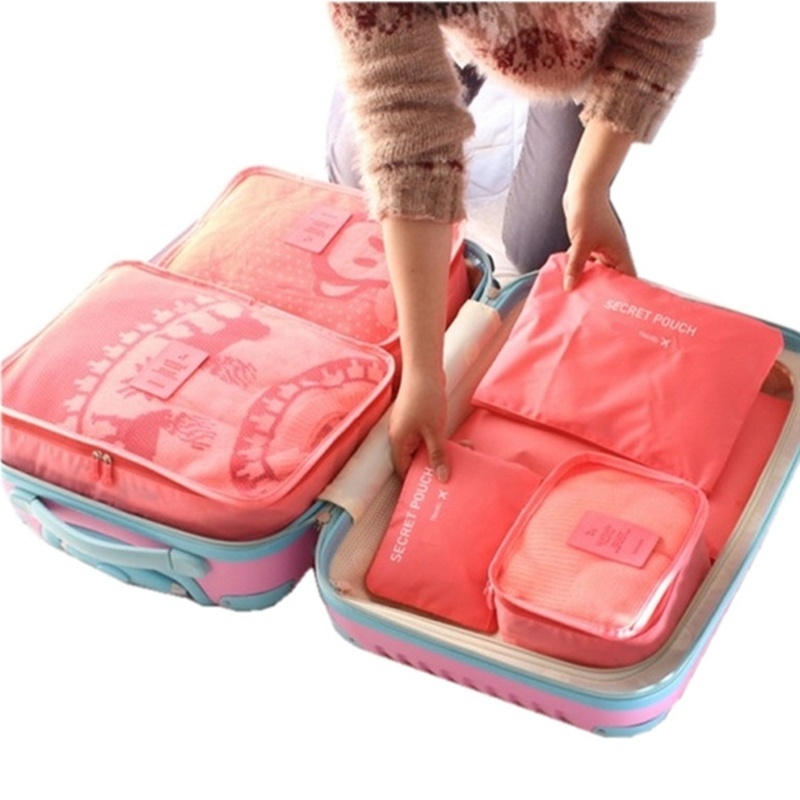 You should also consider placing your rolled up clothes in travel packing polyester organizers. These are great for organizing your luggage into sets of clothing, pants, belts, and shoes to optimize the space that you have. They help you to stay organized when packing and traveling and helps protect your belongings. With the tips above, folding your clothes for travel should be much easier as you can easily maximize on space as well as time.